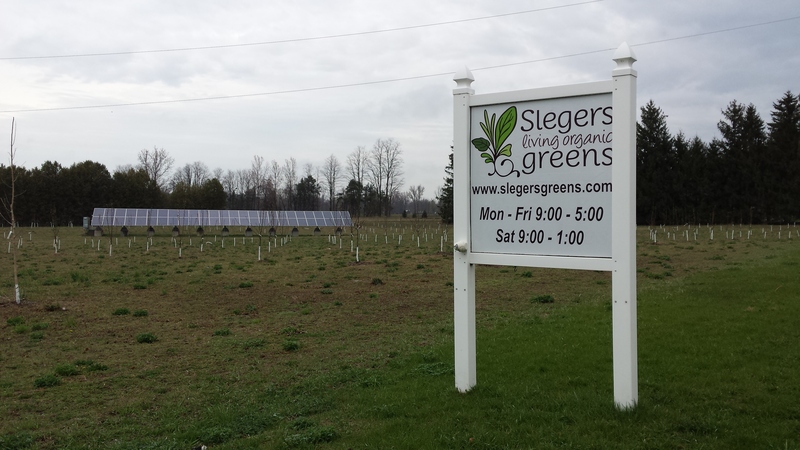 On Thursday afternoon, Dale, Vincent and I took a drive out to Strathroy, ON to visit Slegers Living Organic Greens, our supplier for organic greenhouse living greens. Things were a bit hectic for Jo and Pauline, as they were getting ready for their CanadaGAP inspection the following day, and we are grateful they took the time to show us around. 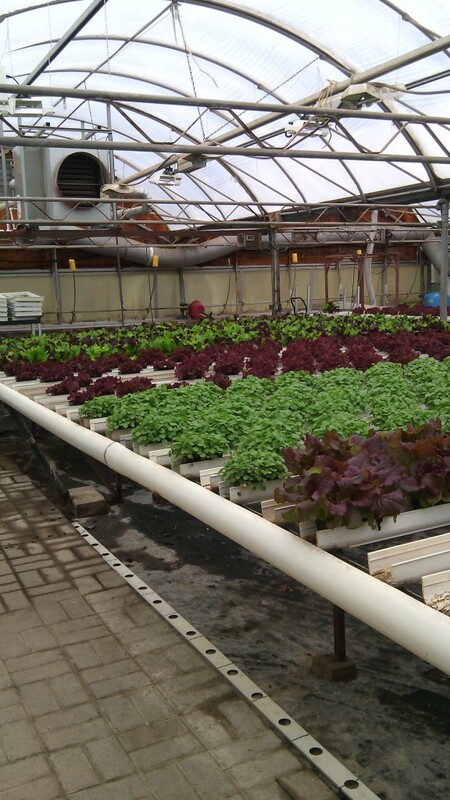 A cloudy, rainy day brought us inside the warm greenhouses of Slegers Greens. The main thing I learned, is that I have a lot to learn! A lot of experience, mixed with science, luck and an element of art play a part in growing these delectable goodies. 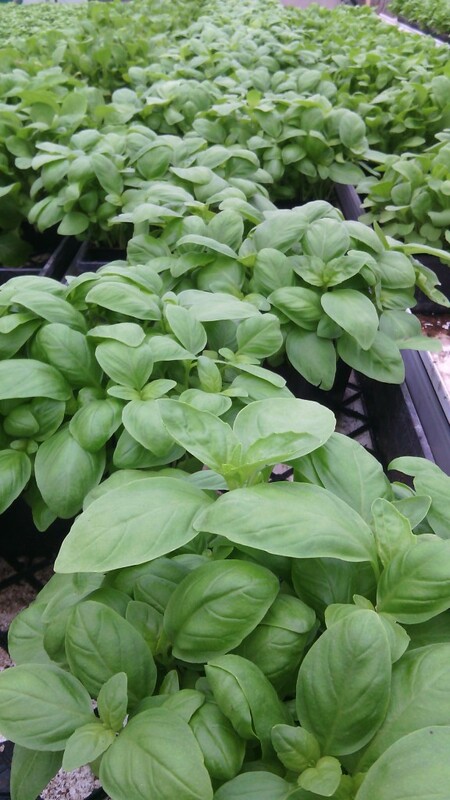 Basil, almost fully grown and ready to pack. My first impressions were of the gorgeous, vibrant colours stretching out before me, and the warmth! Many of my favourites were visible, and a few new items too. Contrasting colours of purples, reds and greens. 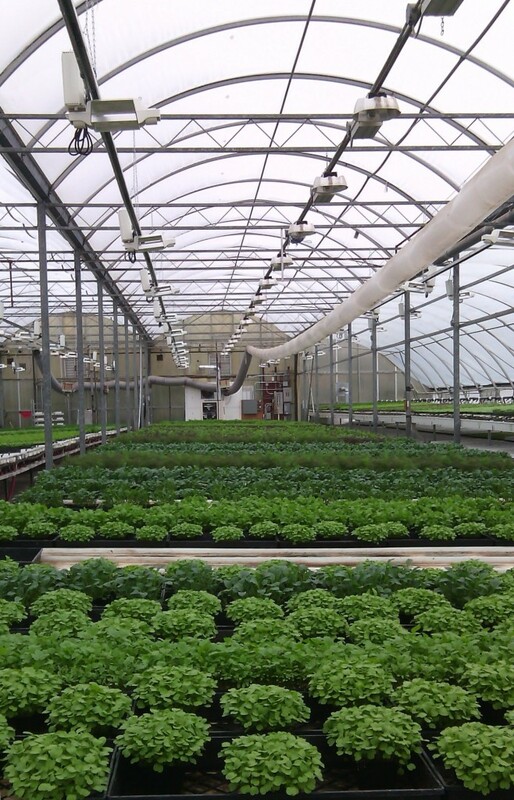 Growing greenhouse plants depend on a complex interaction between the temperature, humidity, mixture of air content (CO2 to oxygen), and water for the plants. Jo explained to us the balance needed in the water system to allow for beneficial microorganisms to grow around the soil root bulb, which help provide nutrients to the growing plants. Rows and rows of green goodness. It was interesting to see the varying stages of growth, and to learn a bit about each plants’ preferences. 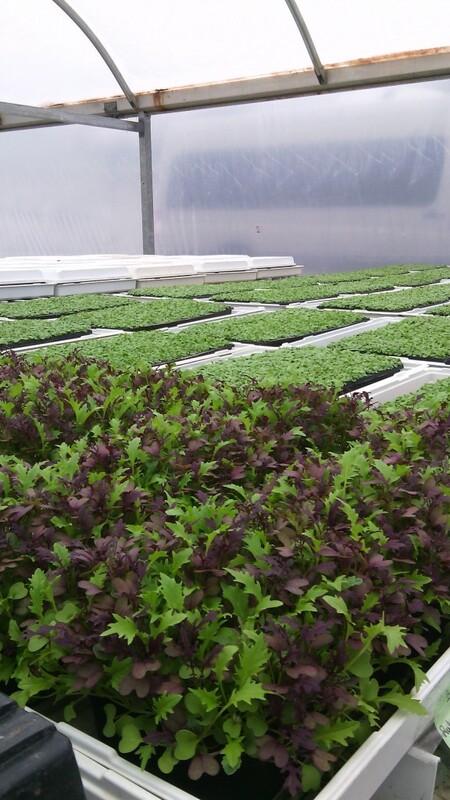 For example, when germinating, basil likes a lot of warmth – which is why they are covered with a black cover at that particular stage of development. Some of the others don’t need as much warmth, so they get a white cover. Colourful salad mix ready to go in the foreground. At the very back are trays of germinating seeds covered in white. 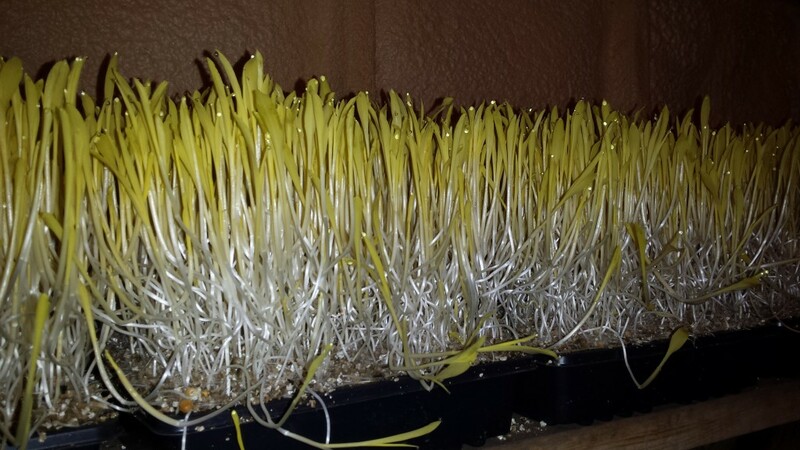 The corn shoots have their own room, as they need complete darkness and high humidity in order to grow well. We could see beads of moisture on the shoots. They will start to turn green when exposed to light, and this affects the flavour profile of the shoots. We had a taste, and they are incredibly sweet! Extremely sweet corn shoots growing in their own private quarters. Innovation is an important part of this industry, and it was not surprising to see a few experiments on the go. In this ever-changing world, this kind of forward-thinking will make all the difference to the business, and will allow the Slegers to develop new products for their growing markets. Thanks Jo and Pauline for the tour of your operation! We really enjoyed our visit.